I’m the author of five full-length books: black seeds on a white dish (Shearsman, 2011), door of thin skins (CavanKerry Press, 2013), how do i net thee (Salmon Poetry, 2018), the sun a blazing zero (Lavender Ink/Diálogos, forthcoming 2019), and Sisyphusina (forthcoming 2020). I’m also the author of two chapbooks, Leaf Weather (Tilt Press, 2009; re-printed by Shearsman, 2011), and FLOUNDERS (Essay Press, 2016). My books have been favorably reviewed in many literary magazines including American Book Review, Rain Taxi, Boston Review, Rumpus, Georgia Review, Colorado Review, Rattle, Tarpaulin Sky, Diagram, CutBank, Pleiades, Fourth Genre, and Denver Quarterly. My first book, black seeds on white dish, was featured in Poets & Writers‘ annual 10 Debut Poets issue. Interviews with me about my books have been featured in venues such as The Rumpus. Ploughshares, and OmniVerse. My poetry, prose, and visual writing has appeared and is forthcoming in many journals including Poetry, The American Poetry Review, The Iowa Review, New American Writing, Lana Turner, jubilat, Western Humanities Review, Denver Quarterly, and Brooklyn Rail, and has been featured in the Academy of American Poets’ Poem-a-Day series (Poets.org), NPR, Poetry Daily, Verse Daily, and OmniVerse. I am the recipient of awards including an Academy of American Poets’ Prize, The Poetry Society of America’s Lyric Poem and Cecil Hemley Memorial Awards, Electronic Poetry Review’s Discovery Award, and Painted Bride Quarterly’s Poetry Prize, and the recipient of a Tanner Center for the Humanities Fellowship and residencies at MacDowell Arts Colony, Squaw Valley Writers’ Community, Ragdale Foundation, and Vermont Studio Center. Before returning to school for graduate studies, I worked as a graphic artist, typesetter, and Assistant Art Director in NYC, mainly in the music industry. A graduate of the Iowa Writers’ Workshop, I hold a Ph.D. in creative writing and literature from the University of Utah. I was Drunken Boat‘s Reviews Editor & curated DB blog’s feature, “What I’m Reading Now…” from 2011-2016, and curate this feature now at Tarpaulin Sky where I’m currently Special Features Editor. I have taught literature, expository writing, and creative writing to college and high school students, and taught English as a NYC Teaching Fellow in a Brooklyn public high school before moving to Iowa City. 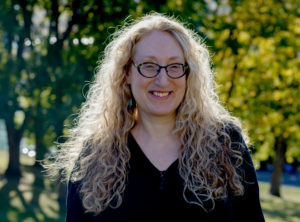 I was Writer-in-Residence at The New College of Florida in Sarasota for Spring 2012 (Poetry) and Spring 2013 (Fiction), and currently am Senior Lecturer in Creative Writing at Rensselaer Polytechnic Institute in Troy, NY, where I teach poetry, fiction, and creative nonfiction writing workshops. I love to give readings, and am available to lead short-term genre and inter-genre/hybrid workshops and courses. I will be leading prose poetry workshops at the Word Barn in Exeter, NH, and at the Hudson Valley Writer’s Center in Upstate NY during summer and fall 2018.